Suntec, Danfoss world’s largest supplier of fuel oil pumps for the heating industry, supports Classic Group by supplying a wide array of high quality Fuel pumps from capacity 40 ltrs. to 4000 ltrs. that can be supplied to various industries. 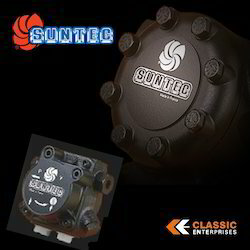 Classic Enterprises Mumbaioffers Suntec & Danfoss make Fuel oil pumps for burners and boilers. Weare distributors for india forSuntec fuel oil pumps, Suntec oil burner pumps, Suntec diesel pumps,Suntec keroscene pumps,Suntec pumps for ecoflam burners,Suntec fuel oil pumps for Bentone burners,Suntec oil pumps for FBR Burners,Suntec oil pumps for Unigas burners,Suntec oil pumps for Riello burners,Suntec oil pumps for Weishaupt burners,Suntec oil burner pumps for FBR burners,Suntec oil burner pumps for olympia burners,Suntec oil pump for Baltur burners,Suntec oil pumps for oilon burners,Suntec oil pumps for Sookook burners,Suntec oil pumps Lamborghini burners. One of our lines of products includes Charles Bergonzo Nozzles. Made from finest raw materials. Highly durable. 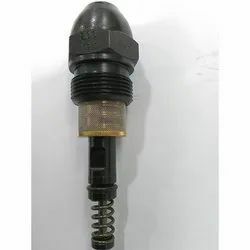 High performance and quality finish are some of the highlights of these burner nozzles, due to extensive use of leading technology and intense supervision of highly qualified engineers, Highly regarded in automobile industry, we offer these nozzles with industry leading price. Classic Enterprises, Mumbai offers Thermax Boiler pump, Burner rod, Nozzle Rod, Burner rod coil, Inner coil, Photocell, Furnace oil pump, Sequence controller, Temprature controller, Rtd assembly, Mobrey switch, Mobrey float, Magnet with rod, Diffuser plate, Ignition electrodes, Bypass nozzle, Photocell housing, Pressure switch, Ignition transformer, Ignition lead etc.. Looking for Burner Boiler Fuel Pump ?